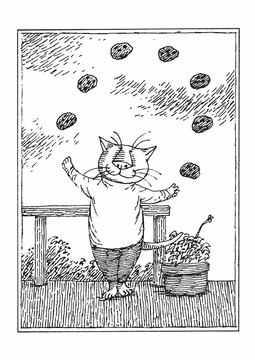 Ten 5 x 7 in. 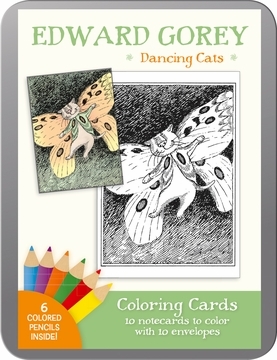 blank notecards (2 each of 5 designs), with ten envelopes and six nontoxic colored pencils in a decorative tin. 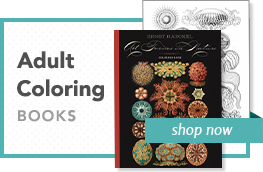 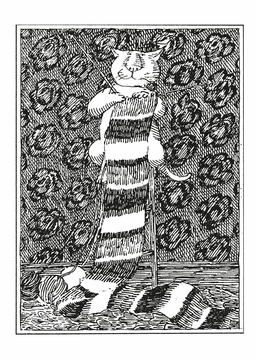 Edward Gorey was fond of literature, films, music, television, Asian philosophy, animals, ballet, and theater, for which he designed Tony Award–winning sets and costumes. 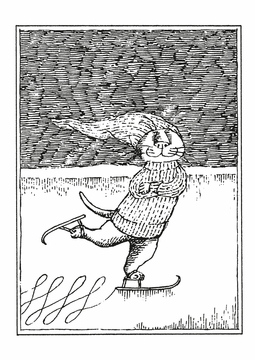 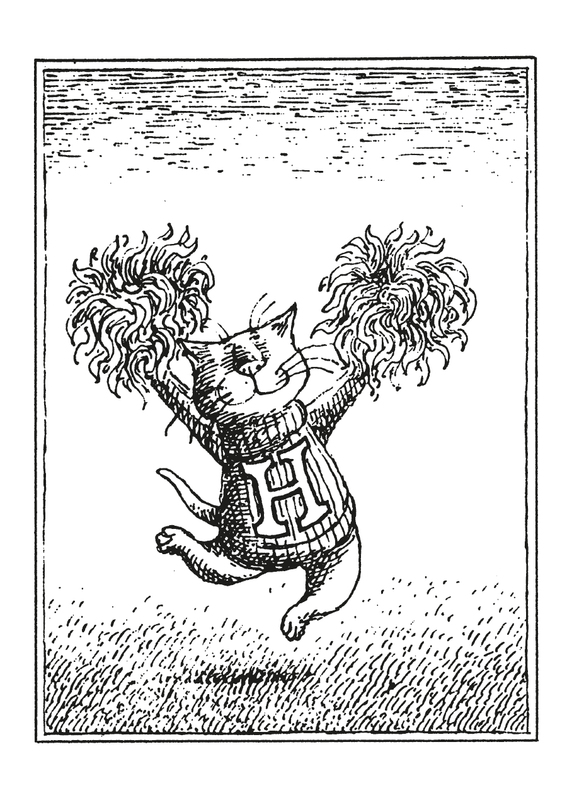 But he is best known for the more than one hundred works featuring his crosshatched ink drawings, including his cats—knitting, skating, or cheerleading. 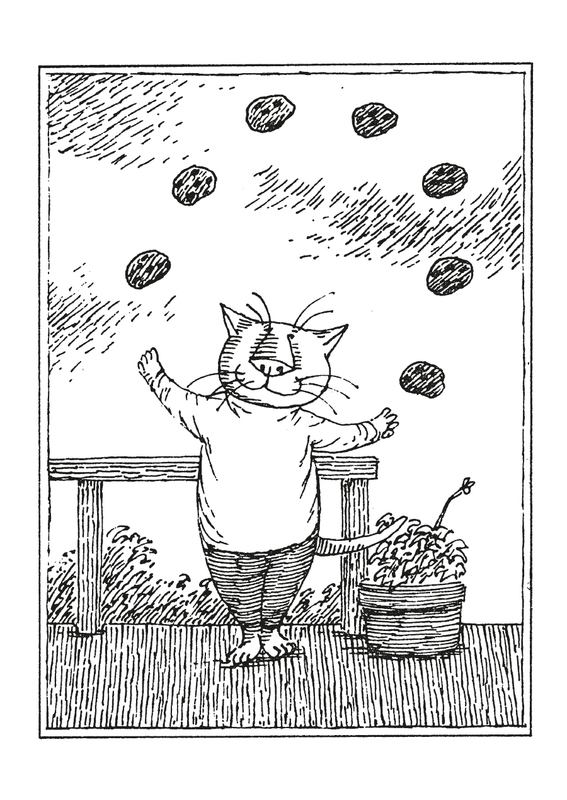 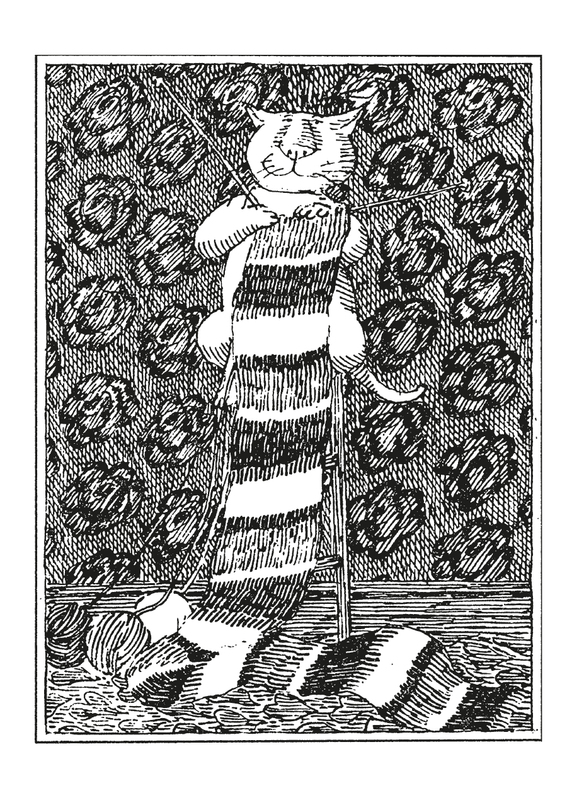 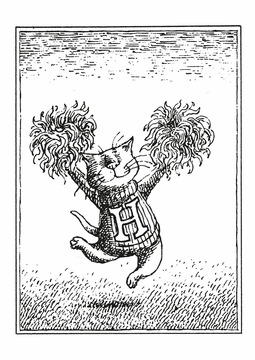 Contains two each of five illustrations from Dancing Cats by Edward Gorey (American, 1925–2000).